Double sided printing on the keyring inserts allows your brand or promotional message to be seen from both sides. These are a simple but effective promotional item making them great for giveaways. 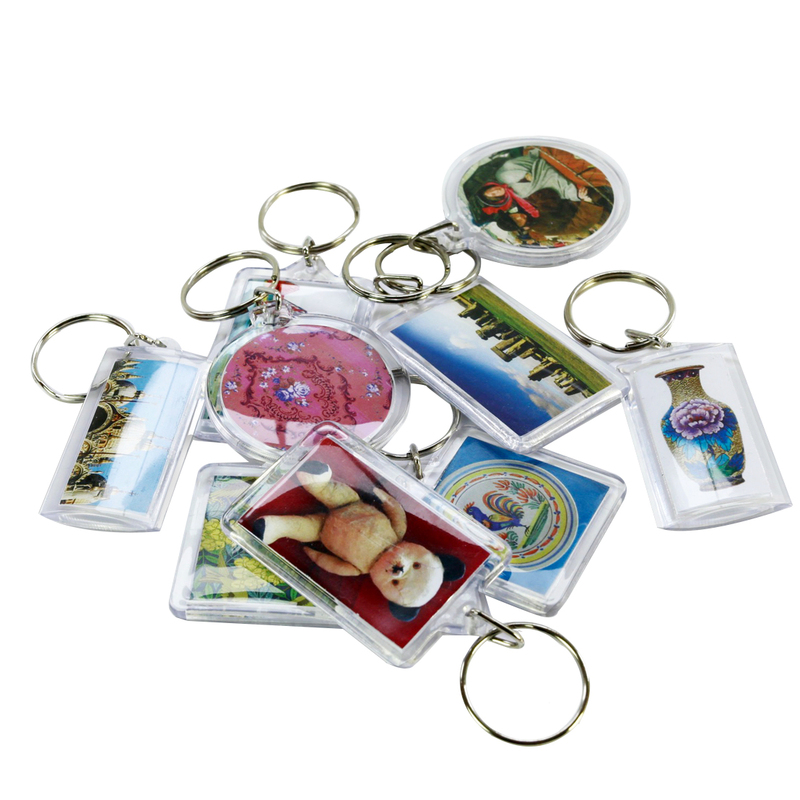 Our promotional acrylic insert keyrings have a clear plastic case with a printed insert. Double sided printing on the keyring inserts allows your brand or promotional message to be seen from both sides. These are a simple but effective promotional item making them great for giveaways. We also have acrylic insert magnets - click here for details. Please ask if you have any special packing requirements. Backing cards available on request.